Today was another practice session at One Cal Plaza in downtown Los Angeles. 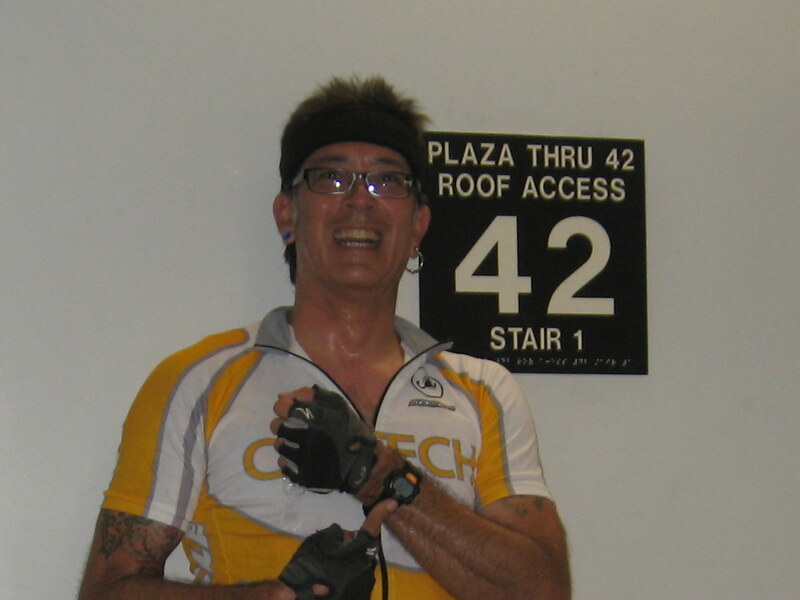 Last week, I’d made my best effort to date, climbing the 42 stories in 7:21. I was hoping to better that today. There was a big group there for the practice. When they started letting us into the stairs, I didn’t try to get in front. I wanted a lot of people to pass this time, since that always gives me a good psychological boost. So I waited a few minutes before starting out. And I passed a lot of people. There was only one time when the traffic got thick enough to slow me down a bit, and I managed to get through that pretty fast. 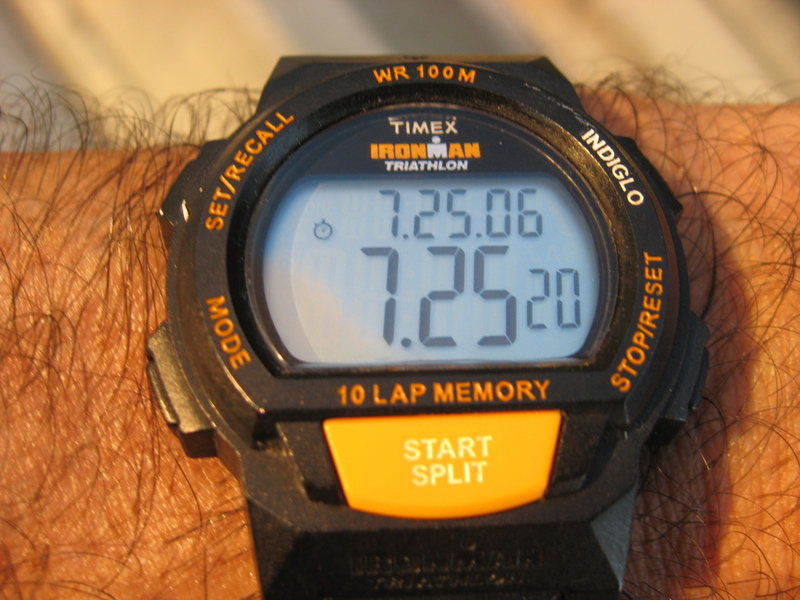 I had a quick look at my watch at the halfway point and saw that I was on track for a decent time. At 41, I managed to pull out a little extra energy, and I sprinted up the last two floors. At the top, I stopped my watch and saw that I’d done it in 7:25. A classic example of regression to the mean. So it wasn’t unexpected, and I’m not unhappy. 7:25 is still my second-best time yet on these stairs. I’m consistently going much faster than I was this time last year.